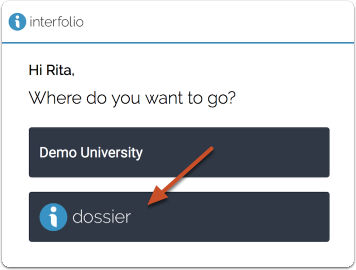 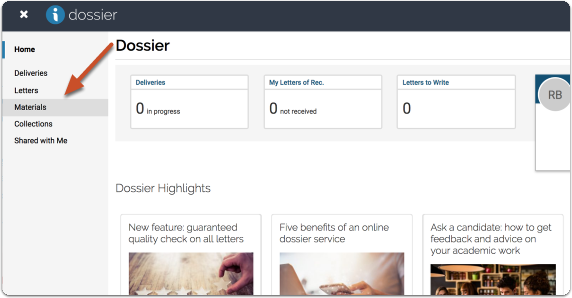 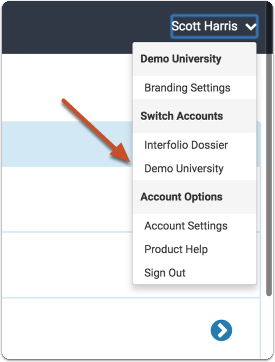 If you have access to Dossier through your institution, the institution may post guidelines in Dossier to guide you in assembling materials for particular review processes such as annual performance reviews, promotion reviews, etc. 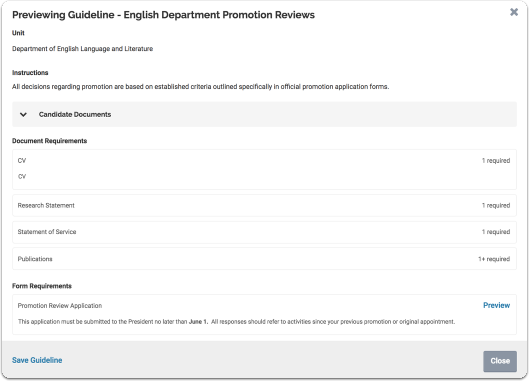 You can search for and save these guidelines, and reference them as a checklist as you prepare for future reviews. 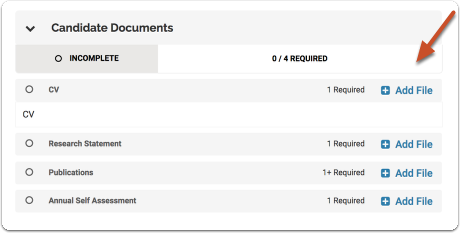 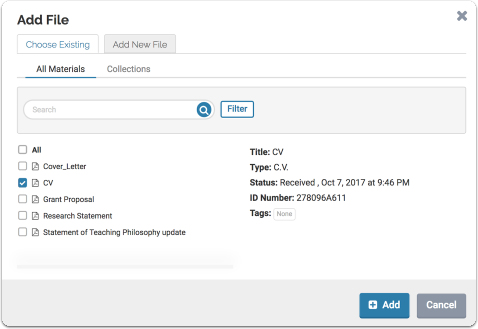 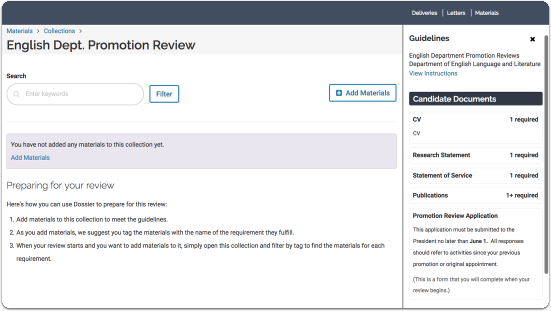 When preparing for a review using the guidelines feature, you can automatically assemble collections of materials that meet the requirements of the review. 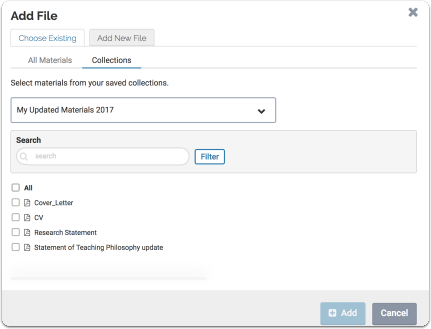 When the time comes, you can easily transfer the materials you've assembled in that collection over to the official review packet. 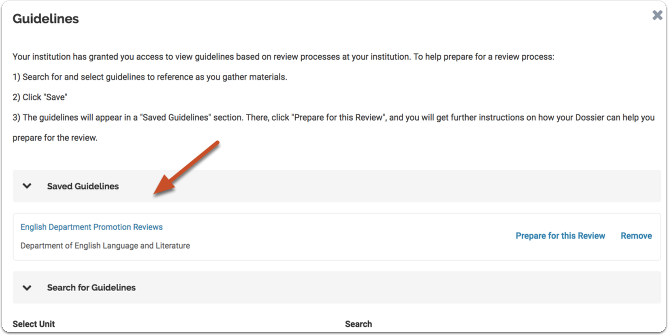 This article explains how to start using guidelines to prepare for your upcoming reviews. 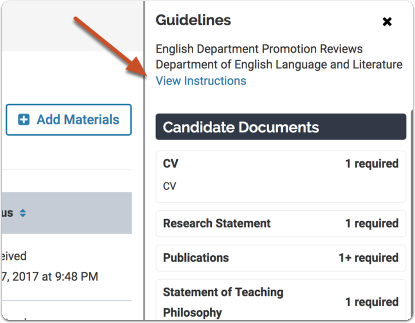 "Guidelines" are only available to users whose institution subscribes to the feature. 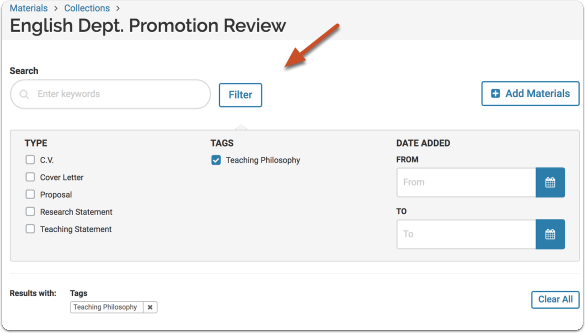 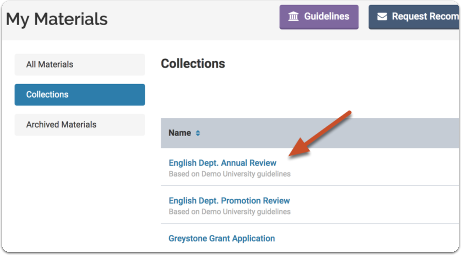 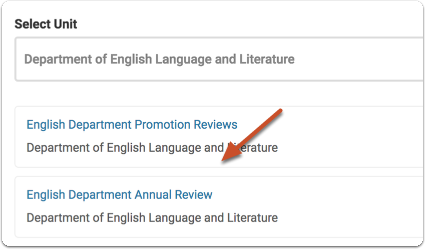 The "Guidelines" button will only display if the feature is available at your institution. 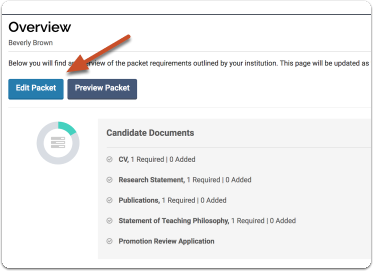 If it does not display, it is not available. 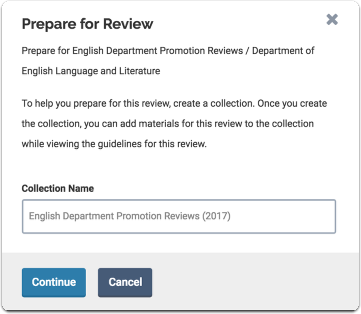 Create a collection to help you prepare for the review. 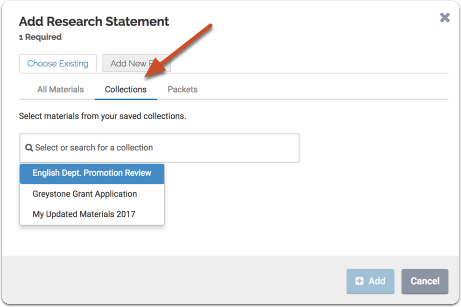 Once you create a collection, you can add materials while viewing guidelines for the review. 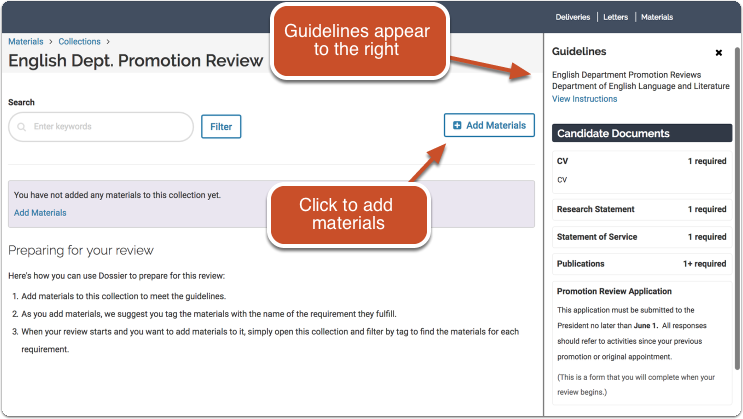 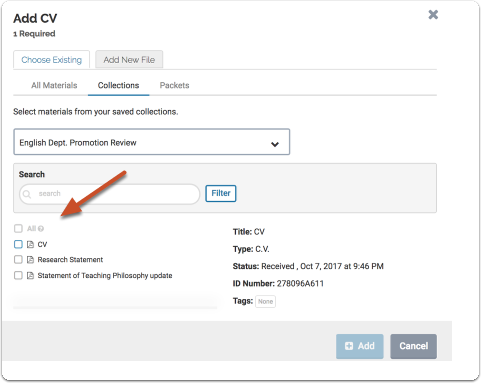 Creating a collection will open a page where you can view the guidelines for the review and add materials. 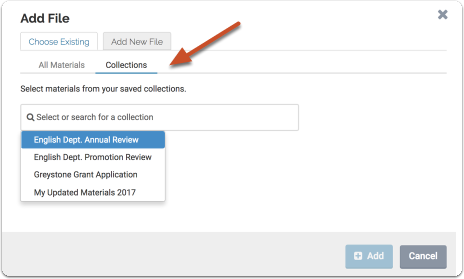 Open the collections tab and select a collection. 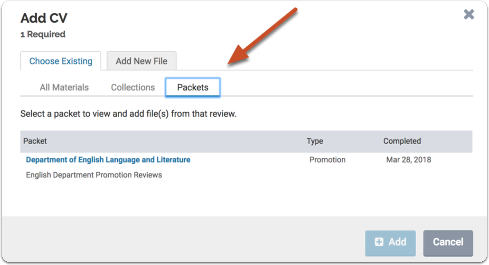 Add files from the collection to satisfy the guidelines for the review. 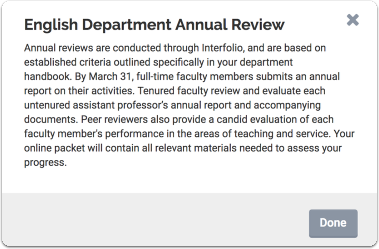 Rinse and repeat, and you will have your review packet done in no time!